Sue The Iron: Give Me My Coffee!!! Good afternoon and welcome to the weekend! It's my turn to kick off the challenges on the new look Lost Coast Designs Portal To Creativity - I'm only typing that once! 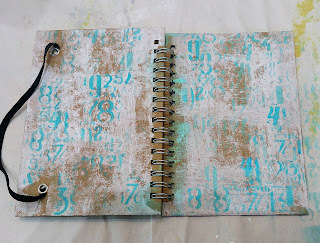 We have a brilliant theme this month - 'numbers' so here's what I've made. I am this bird! OK, maybe a little plumper in the leg area, but you get my drift. I can't function at anything above amoeba level until I've had my coffee on a morning. I allow myself 2 cups of full fat before 12, then 2 decaf's for the rest of the day. I was drinking upwards of 15 'real' cups a day (I know, scary) so this is a great cut down for me. I've replaced the others with hot water with orange and lemon slices - I shall soon look like a goddess, with the skin of a new born baby - next week, at the latest! 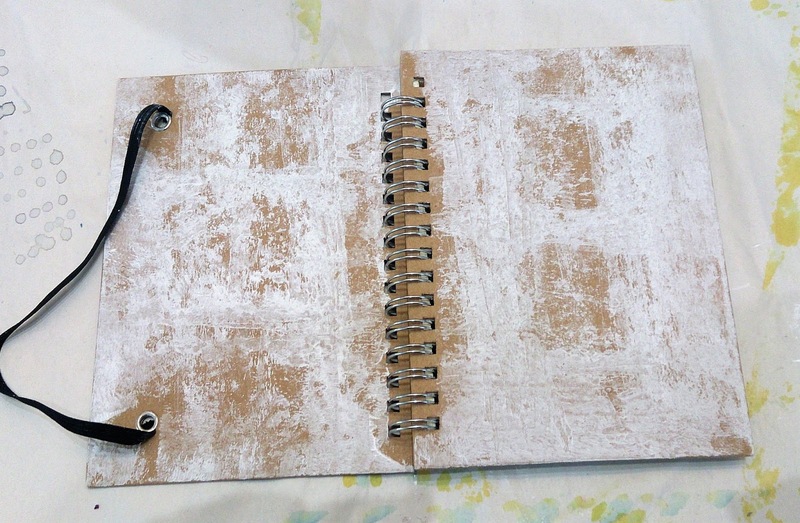 So I took a very inexpensive A5 notebook with a kraft cover and brayered gesso over the top. 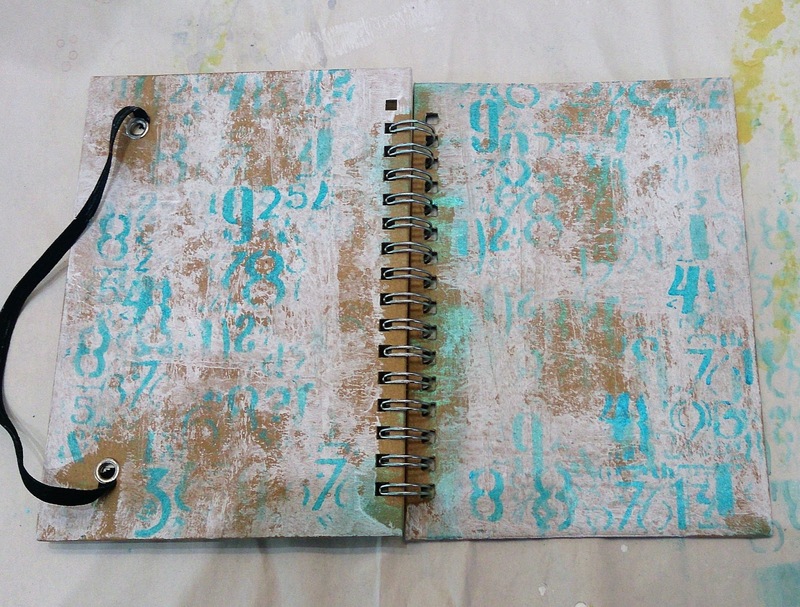 Next, I used some DecoArt paint and a number stencil. It's not rocket science is it, but this is one of my favourite colour combos. Then fun with stamps! 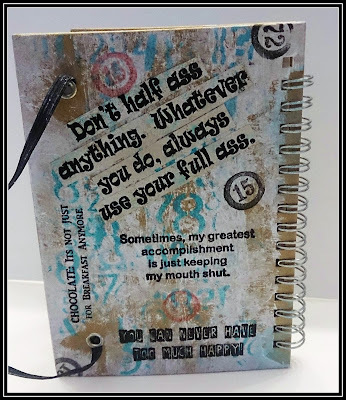 All the words are from Carmen's Veranda, and the numbers are a Lost Coast border stamp. 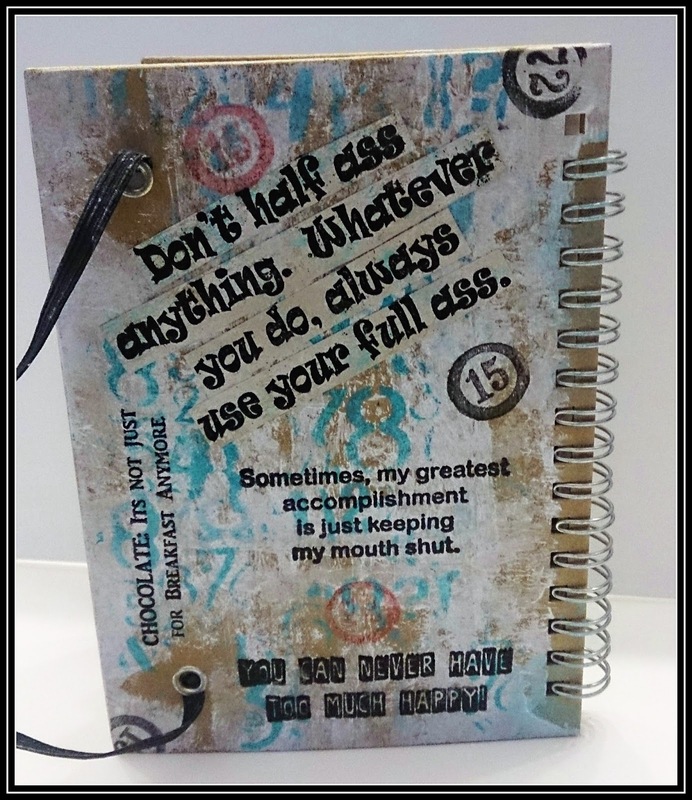 There is many a true word spoken in a clear stamp sentiment! Again a CV sentiment, and this wonderful bird is by Lost Coast. So what could be easier than this challenge! You have until the 25th to join in and link up for the chance to win $s to spend in the online store. I love this bird (I call mine Harry... not sure why, he's just a Harry... and it's the only stamp I've named.. don't judge me!) your page is fantastic. So artistic--love how you put everything together! What a great creation, Sue! I am absolutely this bird! Ha ha! I just LOVE it!!! Beautiful and funny! And so clever quotes!!! Kisses, my friend. 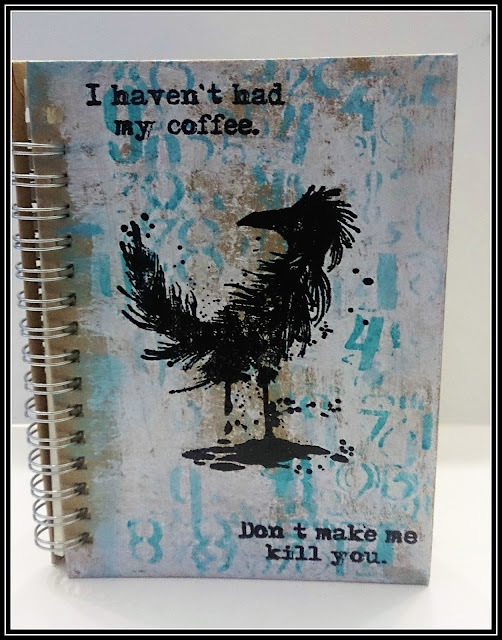 What a fun book, easy to do, and I love this quirky bird stamp!!! I do adore that bird! And your altered notebook cover is altogether a treat - I love the wall of text stamp graffiti!